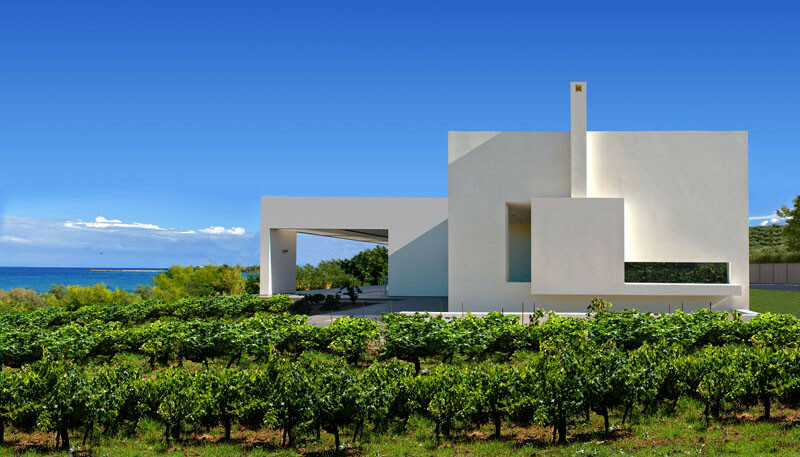 This house, designed by Katerina Valsamaki, is located in the northeast corner of the island of Zakynthos in Greece. 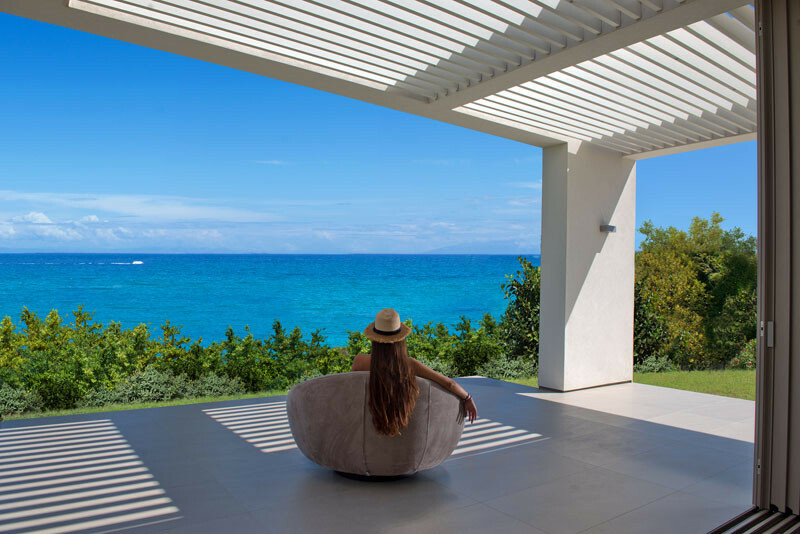 Designed specifically for a small family and their guests as a vacation house, it also has the potential of becoming their permanent residence in the future. Due to the position and height of the home, it’s almost invisible from the street. 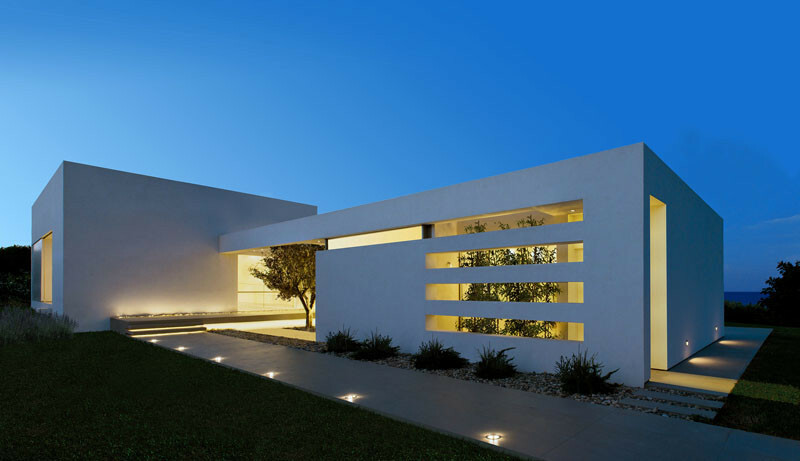 At night the home and its surrounding paths are lit up, highlighting the design of the home. A small courtyard welcomes you to the home. A large patio area extends the living spaces. 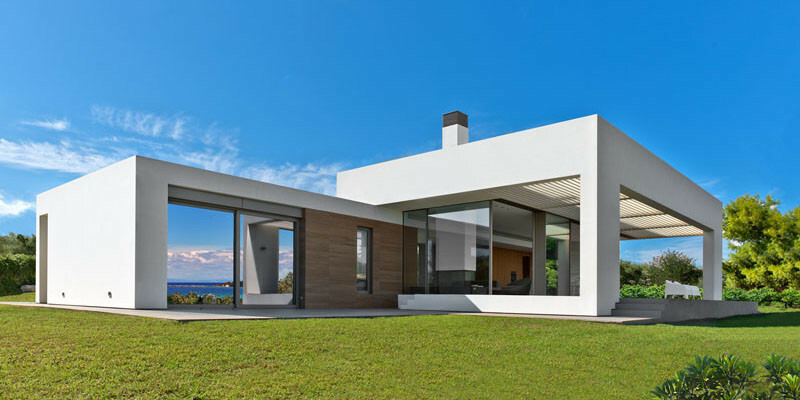 The home has unlimited view of the sea to the east, and is surrounded by trees and vines, creating a private garden. Large sliding glass doors open up to connect the inside and outside spaces together. The kitchen and dining area share the same space at the living area. In the bedroom, large glass windows provide unobstructed views of the surrounding area. 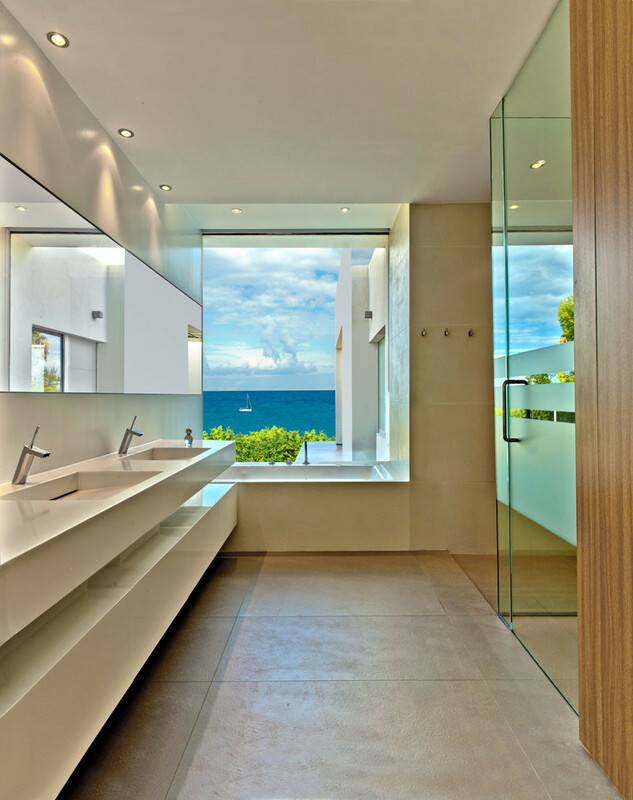 The bathroom has been designed so that you can take advantage of the views, while laying in the bathtub. A door to the outside in this shower lets you feel like you’re showering outside.